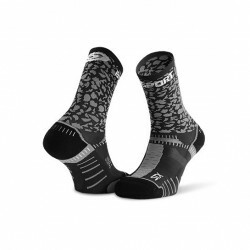 Mid-high sock, comfortable, resistant and ultra reinforced. This sock provides an absorbent shock of the heel and tiptoe with NOSTATEX and COOLMAX. Mid-high sock, comfortable, resistant and ultra reinforced. Technical, comfortable, resistant sock, it’s efficient with an absorbent shock X -STATIC and COOLMAX at the heel and toe.